Well Care is committed to providing high quality health care in the home and offering rewarding career opportunities for our staff. We look forward to partnering with Cumberland County's medical community, and welcoming new employees and patients into the Well Care family. Well Care Home Health of the Triangle is pleased to announce the addition of Cumberland County to its service area. The agency will offer a complete scope of home health care services to the county’s patients, including skilled nursing, physical therapy, occupational therapy, speech therapy, medical social work, and home health aide services. “We are excited to expand our home health care services to Cumberland County,” said Wanda Coley, President and Chief Operating Officer of Well Care Health. “Cumberland County is adjacent to our current geographical area, and aligns with our strategic growth plans. Well Care is committed to providing high quality health care in the home and offering rewarding career opportunities for our staff. We look forward to partnering with Cumberland County's medical community, and welcoming new employees and patients into the Well Care family,” Coley added. Well Care already provides home care services in Cumberland County, which include personal care, household duties, companionship, and more. Additionally, Well Care Home Care has opened a new office in Fayetteville to better meet the needs of the community. This new home care office in Fayetteville, combined with the addition of Well Care’s skilled, home health services in Cumberland County, will bring integrated, post-acute care options to the region, allowing patients to heal in the comfort of their own homes. Well Care Home Care in Fayetteville is planning a ribbon cutting ceremony and open house for members of the medical community, along with clinical professionals seeking employment opportunities. Cumberland County is the fifth largest county in the Tar Heel state and home to more than 4,000 home health care patients, according to the State Medical Facilities Plan. Approximately nine percent of the population is over the age of 65. Well Care Home Health of the Triangle earned JCAHO accreditation and Deemed Status by the Joint Commission in October 2017, granting the agency the official stamp of approval in high quality patient care. Well Care’s Triangle branch has also received a 5-star rating by the Centers for Medicare and Medicaid Services (CMS), placing it among the top home health agencies in the nation. 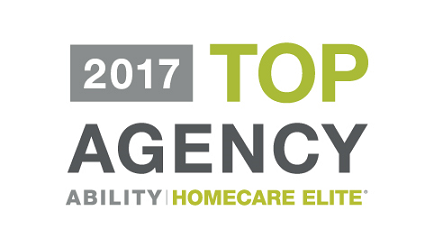 Additionally, Well Care Home Health of the Triangle was named a Top Agency of the 2017 HomeCare Elite®, a recognition of the top-performing home health agencies in the United States. Well Care will hire more clinical staff for its Home Health and Home Care entities, including nurses, therapists, social workers and home health aides to accommodate the agency's increasing patient population in Cumberland County. The company plans to grow in North Carolina and across state lines in the future. Well Care Health is a family-operated in-home care company based in North Carolina. Headquartered in Wilmington, the agency launched in 1987 with seven employees and began providing home care services to patients in New Hanover County. Today, Well Care Health is an integrated post-acute, in-home care agency that encompasses the entities, Well Care Home Health and Well Care Home Care. The company serves more than 40 counties in North Carolina, from the coast to the Triad, and employs more than 800 people. Well Care Home Health currently has three regional offices across the state – in Wilmington, Raleigh (the Triangle), and Advance (the Triad). Well Care Home Care has offices in Wilmington, Raleigh, Goldsboro, Jacksonville, Supply, Whiteville, and Fayetteville.